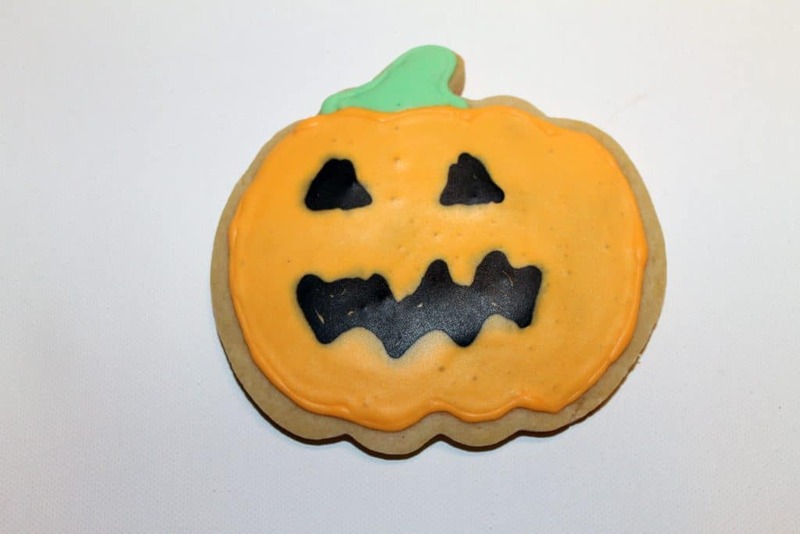 Nothing says Halloween like a Jack o lantern cookie! 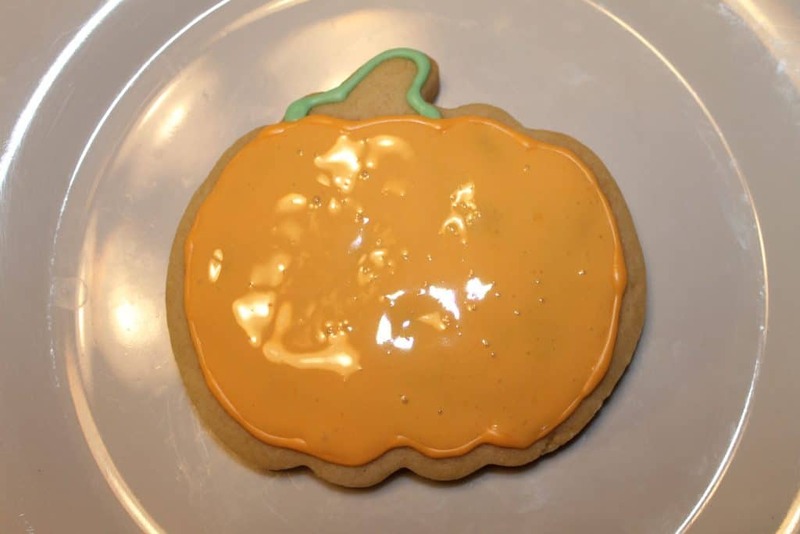 This fun and simple cookie is easy to decorate, but is such an appealing treat for any Halloween party or get-together. Read more to learn how to do it! 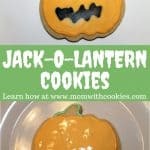 Now back to the Jack o lantern cookies tutorial! 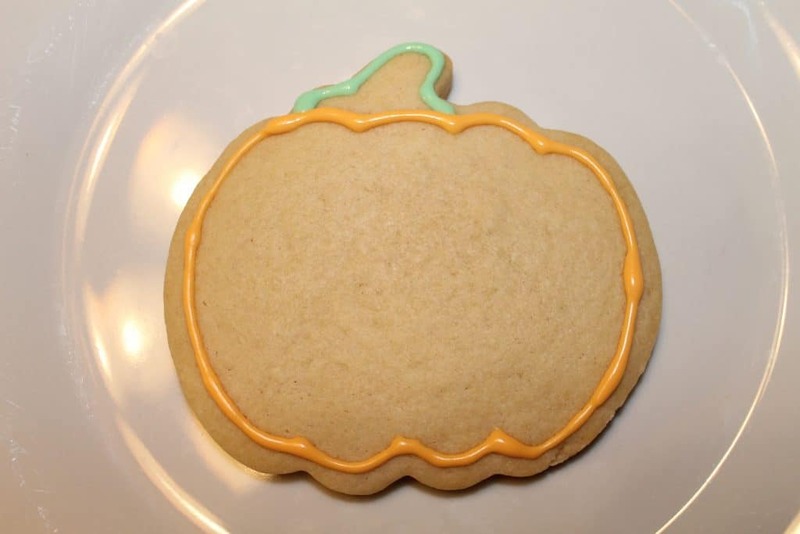 The first step in making these cookies is to bake pumpkin shaped sugar cookies. This is my recipe for the best sugar cookies to decorate. Now, the secret to baking cookies that don’t lose their shape is to freeze the cookies right before you bake them! 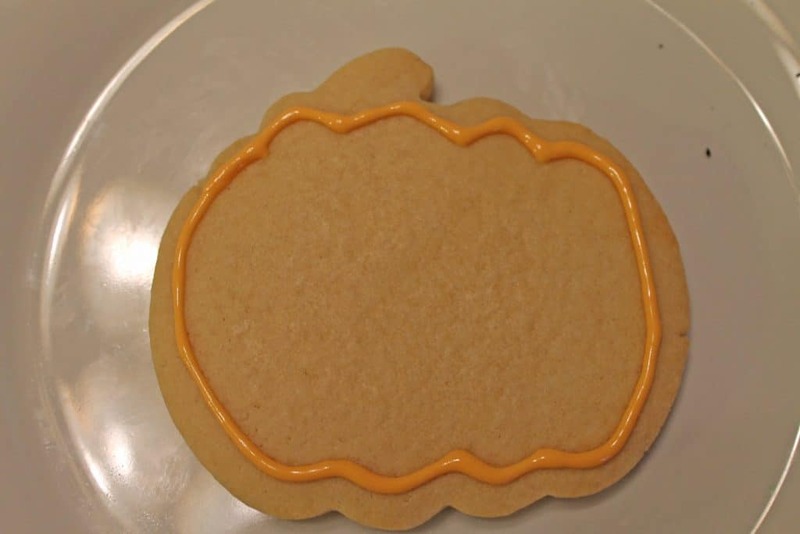 With the orange icing in the piping bag, outline the Jack o lantern cookies. 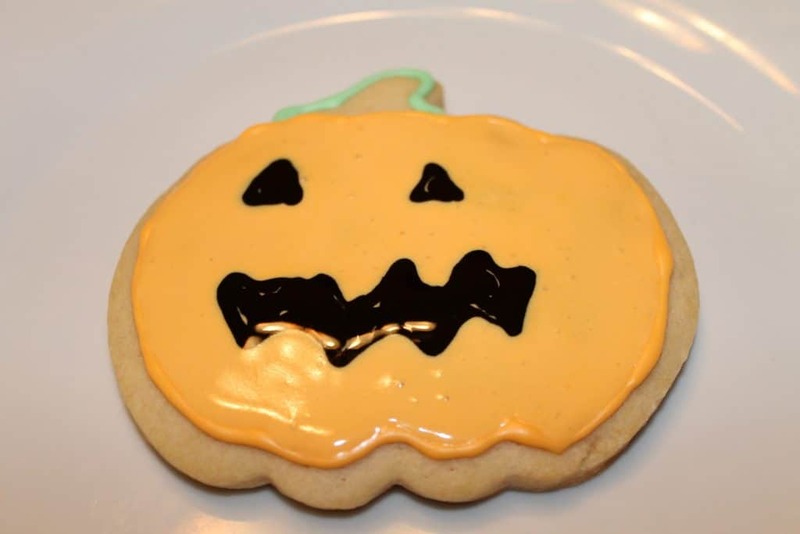 Then you will use the green icing in the piping bag and outline the stem of each of the Jack o lantern cookies. Let the cookies set up for about 5 minutes so the outlines are starting to harden. Then you will take the cookie decorating bottle with orange icing and fill in the orange outline. I like to use a swirling technique and use the tip of the bottle to help push the icing evenly throughout. Also, this is where the tooth picks come into play! You can use toothpicks to help you evenly distribute the icing and not use as much. Then, you will want to grab the decorating bottle that has your black icing and make the faces of the Jack o lantern cookies. They don’t all have to match, it’s really up to you. I would suggest filling 1 pumpkin cookie and then adding the face right after before moving onto another cookies, because the trick to these is that the orange icing still needs to be wet. 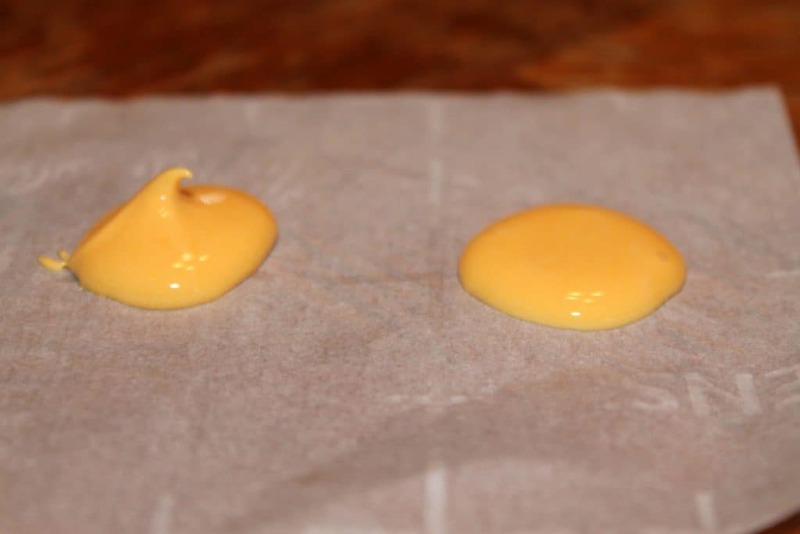 This is actually the principle of wet-on-wet technique. Finally, you will grab your decorating bottle that has the green icing, and fill in the green outline. The icing will harden as it sits out, so let the cookies set for awhile and you will notice the glossy sheen of the icing will turn matte when they are dried. Voila! 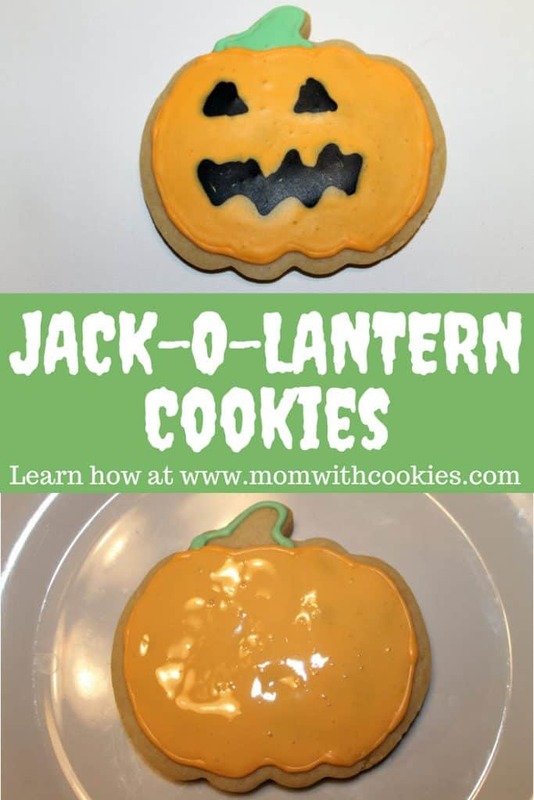 Your fun Jack o lantern cookies are done! These are so cute! I love homemade sugar cookies. These look so cute and delicious. I love sugar cookies. Thank you Kristina! These are definitely a great cookie for Halloween!! Yummy! This looks perfect. I am hungry just reading your post! Definitely going to make these cookies. 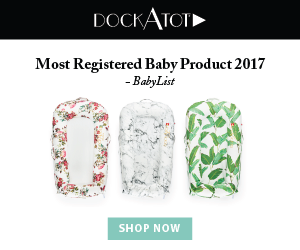 Those are so very cute! Shared on my Facebook page so I can try to make some this Halloween. Thanks Jennifer! Let me know how they turn out for you.